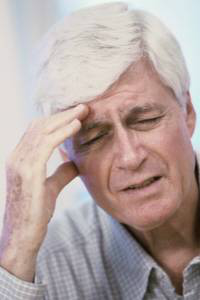 Headache means, simply, “pain in the head.” Headaches, AKA cephalgia, generally are a symptom, not a disease, and may be caused by various factors. If it is a new symptom for you, have it checked out immediately as sudden onset, unusual headache can be an indication of an impending stroke. Migraines have been thought to be vascular in nature, however, there is new evidence they are caused by a nerve disruption in the brain that affects the vessels. Not only is the cause under debate, some believe that migraine should be considered a disease. Migraines, often described as classic migraine (with aura), common migraine (without aura), cluster headache, hemiplegic migraine or ocular, but not always depending upon the resource. Terms and the way the experts look at migraine change as research and studies evolve. If you have them, you will know the symptoms that apply to you. There is evidence that a tendency toward migraine is inherited. Sinus and tension headaches are often misdiagnosed as migraine and confusingly enough the opposite can be true. This is why you need to be under the care of a specialist if your severe headaches are chronic. Classic migraine is a recurrent, throbbing headache accompanied by other symptoms such as loss of appetite, nausea and/or vomiting, fatigue, and sensitivity to lights, noise, and smells. They are usually on one side of the head, sometimes preceded by an aura, which is a transient visual, sensory, auditory, motor, speech, or cognitive symptom. They can last for hours and can occur frequently. Common migraine is accompanied by the symptoms of classic migraine but without aura. It is usually described as throbbing or a constant ache when lying still. It, too, is usually one-sided, and can shift from one side to the other either in the same attack or subsequent attacks. Occasionally it can affect both sides of the head. Common migraines can vary widely lasting for several hours to several days. Frequently they involve the temple area or may start at the back of the head just below the skull. Myofascial trigger points in the neck can also refer pain to the temple and be a huge component to migraine that can be easily overlooked. A cluster headache is an intensely painful headache with sudden onset and can last from minutes to an hour. It too is usually on one side and is frequently associated with flushing, sweating, runny nose, and increased tears. Because they seem to repeat in groups of occurrence, they are called cluster headache. A hemiplegic migraine is a vascular headache that causes one-sided weakness or sometimes paralysis that lasts beyond the event. Hemiplegic migraine is a sub-type of migraine with aura (classical migraine). Three genetic markers have been identified. Ocular migraine is sometimes non-painful or can be accompanied by other symptoms of migraine. It causes temporary loss of vision or blind spots in the visual fiend in one eye. This can be very scary unless and until a diagnosis is made. They can last for hours or several days. They are also described as retinal, ophthalmic, or monocular. Tension headache is often associated with tight muscles indicating the involvement of myofascial trigger points. They can also be perpetuated by cervical (neck) disease. Sometimes these are called cervicogenic migraine and can be episodic or chronic. 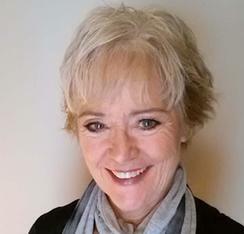 I recommend Trigger Point Therapy for Headaches & Migraines, by Valerie DeLaune. Sinus headaches are often confused with migraine or be misdiagnosed as a sinus headache when it is a migraine. Generally, they occur when there is inflammation of the sinuses, which are air cavities located in the face. Because rhinorrhea, nasal discharge, is also associated in some migraine, the two can be confused. The distinguishing feature is pain usually accompanied by other sinus symptoms, such as nasal discharge, feeling of fullness in the ears, pressure, fever (indicating infection), and facial swelling. According to the International Headache Society, miscellaneous headaches are classified as, idiopathic stabbing headache, external compression headache, benign cough headache, benign exertional headache, and headache associated with sexual activity. A variety of factors can play a role in headache. Identifying your triggers can help you eliminate some perpetuating factors such as allergies, particular foods, bruxism (teeth grinding) and alcohol. Some people with headache note they are increased during periods of hormonal fluctuations, and weather changes. Those of us with migraines, called migraineurs can often predict the weather better than the forecaster. Identifying the cause of your headache is important so that you can minimize the perpetuating factors. You are certainly not alone, however, it is important to recognize that even if you do everything right, the migraine can still persist. All we can do is the best we can do. There are medications. Medications for acute migraine attacks, medications to prevent migraine, some natural remedies and over-the-counter medications may be in order. Adjunctive therapies such as myofascial trigger point treatment, electrotherapy such as a TENs unit for cervicogenic migraine may help, and the use of a night guard if you are a teeth grinder. Antibiotics and/or anti-inflammatories are indicated if the headache is due to a sinus infection or chronic sinusitis. Some patients find ice packs helpful, others heat. Some find acupuncture or biofeedback helpful. Trigger point injections can be helpful when done by someone who understands the myofascial component. Botox therapy has fallen out of favor. For severe refractory migraine that occurs several times a week, neurostimulation may be indicated. It uses light electrical currents to activate or modulate neurons, and according to a study on implantable neurostimulators by Reed et al, in 2010, they found “combined occipital nerve-supraorbital nerve neurostimulation systems may provide effective treatment for patients with chronic migraine and refractory chronic migraine headaches. For patients with chronic migraine headaches the response to combined systems appears to be substantially better than occipital nerve stimulation alone.” There could be a gut connection. Research continues into the exact cause of migraine, components, and various treatments, and this is why some are hesitant to call migraine a disease. I know personally that migraines and severe headache can be disabling and life limiting when they are chronic. Seek help from someone who is specialized in the management of chronic migraine or severe headache as new advances are being made every day. 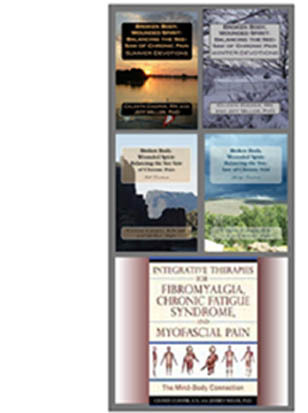 For more information see Integrative Therapies for Fibromyalgia, Chronic Fatigue Syndrome, and Myofascial Pain: The Mind-body Connection. Cooper and Miller. Vermont: Healing Arts Press, 2010. MAGNUM, the National Migraine Association. Thank you for your kind comments. No, I don't get paid. My blogs are volunteer. It is rewarding in other ways, which is so important to those of us who deal with daily chronic pain. I did not find a link to your blog.